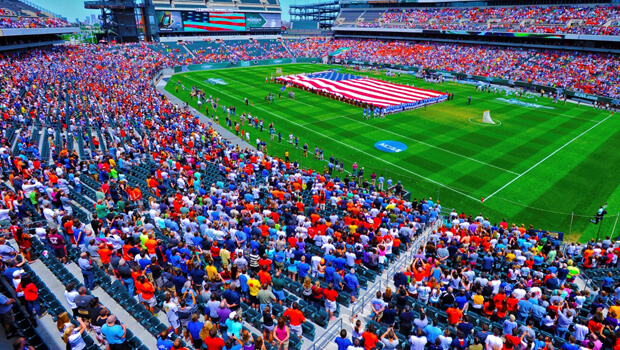 It was a perfect Memorial Day weekend at Lincoln Financial Field and PPL Park for the 2015 NCAA Men’s and Women’s Lacrosse Championships. Nearly 90,000 spectators crowded the stadiums over four days to cheer on their teams. Sixteen squads arrived in Philadelphia for the events and, in the end, the men’s champions were Denver (DI), Limestone (DII) and Tufts (DIII), while Maryland (DI) and SUNY-Cortland (DIII) took home the women’s crowns. Both events return to Philadelphia in 2016, their third visit in four years. Drexel and St. Joseph’s universities will serve as event hosts for the men and women’s events, respectively, again partnering with the Eagles and PPL Park.